Aeon Systems knows how important it is for homeowners and business owners in Midlothian to keep their property safe from intruders. Though we've only been serving this area since 2004, we have more than 35 years of experience in the security industry, and we're constantly keeping up to date on changes in technology. If all your business needs is an intrusion or fire alarm, know that we carry plenty of high-quality options. Our fire security systems, on the other hand, extend across a client's property and provide not only fire protection but also protection against burglars. When the system goes off, it will immediately alert our monitoring center; from there, we can contact the proper authorities to deal with the issue. 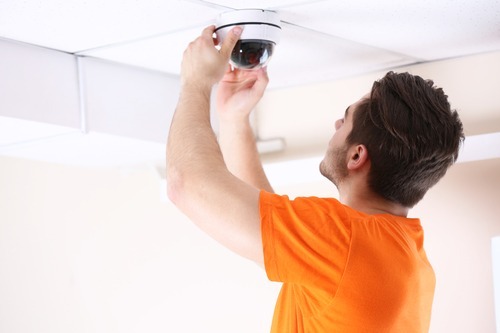 You have a choice in whether or not you want to install video surveillance cameras. We have an affordable option that's ideal for small businesses, which comes with four dome cameras and all the necessary hardware. We'll set everything up and then instruct you on how to operate the controls. You can also think about getting a hold-up system, complete with buttons to press in the event of a hold-up. Our video security system, mentioned above, can be great for single-story homes. You can similarly request our 24/7 Midlothian alarm monitoring services, and if you have a contract with another facility that's about to expire, we'll reprogram your system so that our team can monitor it. With home automation, you can make your home into a smart home. Our company offers interactive security solutions in Midlothian and surrounding areas, which allow you to stay connected to your home via a handheld device whenever you're outside. We offer products from well-known brands like Bosch Security, so call us at Aeon Systems to take a look at them. We're proud to serve customers in Midlothian, and we'd be happy to meet your needs.